If it is time to help your son or daughter to apply for college, it is also time to talk with them about managing their finances, especially credit cards. Even if your teenagers have no source of income and no credit record, credit card issuers are going to find them. According to Nellie Mae, an incoming freshman with no debt in September will have approximately $1,500 in credit card debt by May. Parents must teach their teenagers about finances, including correctly using credit and selecting the right credit card. Staying out of debt and building a good credit score should be one of the most important lessons that you teach your child. Authorized users on credit cards are not responsible for paying the balances but are approved to make purchases with the cards. Often, authorized users are family members of a cardholder, such as college students, who have little or no credit of their own. Parents no longer have the option to just add their children as authorized users on their credit cards. Fair Isaac, the company that created the FICO credit score, no longer factors the scores of authorized users into its FICO accounts. This change means that college students should apply for a credit card in their own name while they are in college, because this is the easiest time in their lives to get a credit card. If they wait until after college, they will probably have to start with a secured card or a store card to begin building credit. Credit card approval for college students is easier because credit card issuers evaluate each applicant based on risk and the likelihood of repayment. They know that college students are an acceptable risk because they have parents who will probably pay off their debt if there is a problem. However, unlike parents, credit card issuers are not compassionate, forgiving, and understanding if the cardholder gets into debt trouble. There are consequences, such as fees, rate increases, and, most importantly, damage to their new credit score. Parents should start by sitting down with their children, discussing their own credit card bill, and explaining finance charges, grace periods, and minimum payments. Explain rotating balances and how much extra you pay each year in interest by making only the minimum payment. Show them a copy of your credit report and the effect of credit cards and other debt on their credit score and future financial options. There are many credit cards available and the choices can be confusing. Help your student shop around for the best credit card. Studies show that most college students apply for a card based on a direct mail offer. The promotion often makes these cards sound good but hides the true terms and fees, making it easy for a first-time applicant to get the wrong card. Parents can help set controls by making sure their new cardholder has a low credit limit of around $500 and by requesting that he or she not be allowed to charge anything over that limit. Moreover, make sure that your child signs up for payment reminder alerts that tell him or her when he or she is approaching the credit limit. 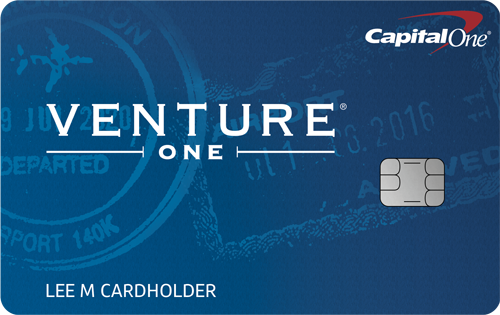 Get only one card and pay it off each month. 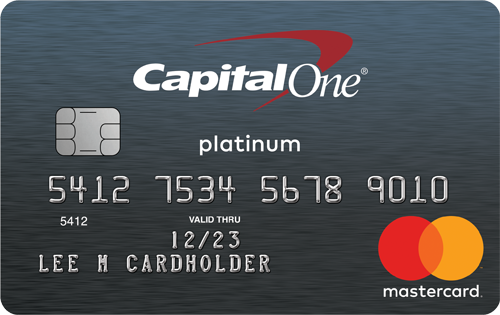 Keep this card to build a long credit history. Only use credit cards for emergencies, not for gas, food/groceries, clothes, vending machines, or fast food restaurants. It is too easy to use the card for a quick meal or impulse purchase without considering the premium that the high interest rate adds. Pay off the balance each month. Forty-four percent of undergraduates say that they make more than the minimum payment but generally carry forward a balance (Nellie Mae). If, from freshman year, they only pay the minimum on a $1,500 balance, they will end up paying over $3,400 in interest and it will take them 26 years to pay off their balance (assuming an 18% interest rate and a 2% minimum payment). Avoid department store credit cards, especially at a time when it is easy to get a standard MasterCard, Visa, or American Express card. Although a discount to a favorite store is attractive, store cards have the highest rates available. 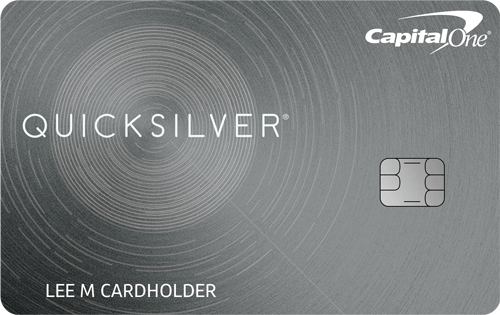 Sign up for online alerts from the card issuer. They now notify you when you are close to your limit and before your payment is due. Avoid using credit cards for cash advances. The rates and fees are extremely high for such transactions. Know your credit limit and review it each month. The credit limit may be as low as $500. Pay your bill one week before the date it is due. Default rates also apply to college students. If you exceed the credit limit or have one late payment, the interest rate could jump to around 30%. Teenagers are coming into contact with credit cards at an earlier age, and prepaid cards are aimed directly at young teenagers. These cards are being advertised as an opportunity for parents to monitor spending and to set spending limits, while giving teenagers flexibility and spending independence. Parents are encouraged to load money onto the card for allowances and payment for chores. Teenagers are then able to use the card just like a credit card and to spend up to the pre-set limit. Is handing your child a prepaid credit card a good lesson in personal finances? Even though the marketing makes them sound harmless and even helpful, do we need to be teaching our kids how to use credit cards this early in life? Credit cards issuers are smart; they realize that this is a good way to get kids hooked on credit cards at a very early age, and issuers hope to establish brand loyalty for a lifetime. Early use of cash instead of credit cards is wise instruction for money management. Before we teach kids how to spend, we need to teach them how to save. They need to know how to designate a percentage of their money for spending, but more importantly, a larger percentage for savings. They need to learn how to save money in their own bank, watch it accumulate, and then take the cash to make a purchase. We value our money much more if we actually spend cash instead of using our credit card. We are much more careful with our purchases if we realize that the money is actually gone after we make the purchase. Of course, these cards come with fees. PAYjr charges a $4.95 enrollment fee, a $3.95 monthly maintenance fee, and a $0.50 load fee for each load. Payoneer charges a $9.95 activation fee, a $3.00 monthly fee, a $1.35 ATM withdrawal fee, $5.00 for the first load, and $2.00 for all other loads. Even if you mastered money and credit issues while in college and are now working, these issues present a new challenge after you get married. Since finances cause the biggest strains on marriages, establishing a financial plan before your wedding day is important. In the same way that you have a wedding rehearsal to know where to stand at the ceremony, you should also have budget rehearsals to know where you stand financially as a couple. Don’t assume that because you are combining incomes that you will have twice as much money. Before you get married, calculate your combined income, debt, savings, assets, and expenses to know exactly what you have and what you will have to pay for. List all of your debt: credit cards, student loans, car loans, wedding/honeymoon bills, engagement ring payments, mortgage, money owed to parents, etc. Your monthly debt, including your mortgage, should not exceed 35% of your gross income. Get a copy of both of your credit reports. This will give you a clear picture of how both of you handle money and it will help avoid any future surprises. Aim to get your score over 750 to receive the lowest interest rates for your first mortgage and other loans. Control your loans. Don’t apply at the same time for a mortgage, an auto loan, a credit card, and financing for new furniture, especially during the first year of your marriage. Each of these will be reported on your credit score. Multiple new loans are a red flag that you are a credit risk, which can reduce your credit score and increase the interest rates you pay. Just because you qualify for a credit card or a mortgage doesn’t mean that you can afford it. Don’t use a credit card if you can’t pay for it with cash. If you currently carry a credit card balance, pay for everything in cash until the credit card balance has been paid off. When you have a credit card balance, every additional purchase you make with that card is a loan and will add interest to the original purchase price. Keep major purchases, savings accounts, loans, and credit cards in both of your names so that you each have equal access and can build a good credit history. Admit to being a spender or a saver. With a budget and compromise, these types of people can live in together harmony. Even after a divorce is in process or is final, your ex-spouse can ruin your credit. If you have a joint account and you are still registered as a co-owner of the account, you’re considered fully responsible for that debt. If you’re considering divorce or separation, pay special attention to the status of your credit accounts. In most cases, you can avoid post-divorce credit problems by closing joint accounts and accounts in which your former spouse was an authorized user, or ask the creditor to convert these accounts to individual accounts. When you cancel joint accounts, cancel all of the cards that you had together. Both of you should get cards in your own names. As long as there’s an outstanding balance in a joint account, you and your spouse are both responsible for it. If you maintain joint accounts during your divorce, it’s important to make regular payments so your credit record won’t suffer. Even if you have a divorce decree stating that you are not responsible for the other’s credit accounts, creditors can still come after you for payment because they were not parties to the decree. You may still be legally responsible for paying off your joint accounts. By law, a creditor cannot close a joint account because of a change in marital status but can do so at the request of either spouse. A creditor, however, does not have to change joint accounts to individual accounts. The creditor can require you to reapply for credit on an individual basis and then, based on your new application, extend or deny you credit. In the case of a mortgage or home equity loan, a lender is likely to require refinancing to remove a spouse from the obligation. Find tips from the FTC about divorce and credit at http://www.ftc.gov/bcp/conline/pubs/credit/divorce.shtm. Top Features : 0% intro APR on purchases; rewards program.